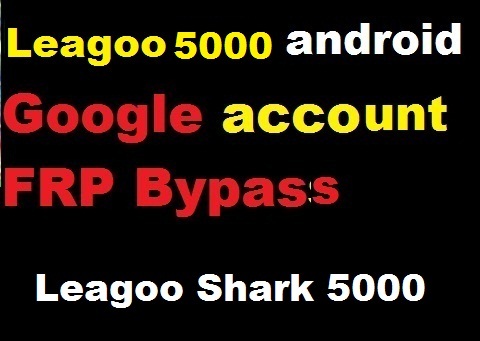 Leagoo Shark 5000 google account reset and FRP bypass in 10 seconds. This a perfect solution for Leagoo Android Support API 3, erase and restarts solution. You have Leagoo Shark 5000 that shows insert google account used to sync the phone. This device was reset so you need google account used on the phone before. How to reset google account or bypass FRP on Leagoo Shark 5000 using FRP File. Download Leagoo Shark 5000 FRP File here.